Porsche 911 owners are known for their love of two things: the joy of a true rear-engine car, and the popular newspaper puzzle known as Jumble™. Go ahead, ask any Porsche owner. That’s why this Dubai 911-owner must have been so delighted when he got his car back from some bumper repair with a Jumble™-tastic badge. The Porsche 911, like almost all modern cars, has bumpers that are capped with paint and chrome trim and all sorts of lovely things that don’t really make sense on a bumper. That means dings need repair. Some cars have badges designed to ruin the joy of jumbling, with the letters all connected together, but Porsche is clever enough to understand that Porsche owners want to have a level of customization for their Porsches. Or Porchses. Personally, I hope this guy appreciates what he has here and keeps it exactly like this. I bet 99% of people won’t even notice, and watching the quivering rage on a truly fussy Porsche fan’s face has got to be worth plenty. 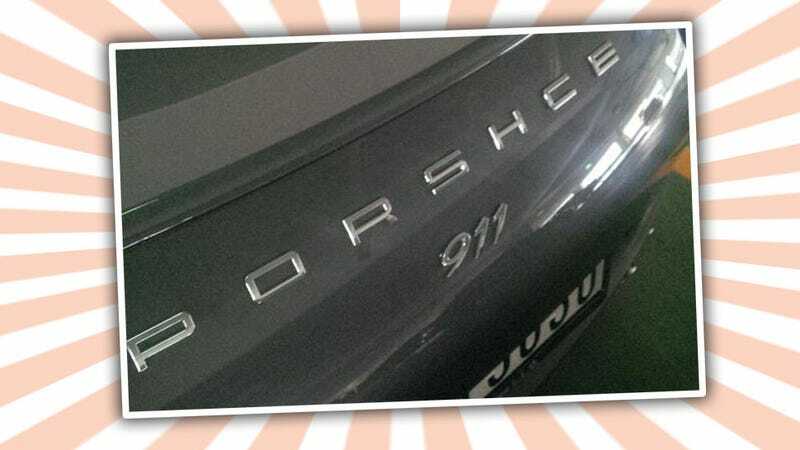 Also, think of the fun you can have when someone corrects someone saying “Porsche” with “Porsche-AH” and you jump in with “Actually, it’s Porsh-KEH” and point at your badge. That’s even better.